The 10th Hiroshima Peace Cup and International Hansa Class regatta has wrapped up. Competitors took to the course on day 2 under cloudy skies and light rain for the morning’s races. Fortunately, the wind that was absent for most of the first day accompanied them onto the water for the final day of competition. 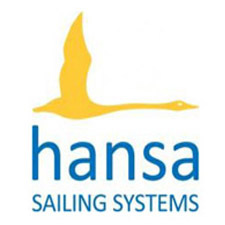 The Hansa 303 doubles and Liberty fleets were unlucky to not get a race in on the first day, but a fresh breeze on the second day saw two races completed. In the 303 doubles, the race wins were split between 2 local teams, however consistent sailing by Ayato & Osamu Suzuki from Japan, who finished second in both races, saw them take the title. In the Liberty division, the fleet was reduced to 8 boats, with NED sailor Sefke Holtrop not taking part. Again, the two race wins were split – this time between international sailors Bob Schahinger (AUS) and Akko van der Veen (NED). As winner of the last race, van der Veen was declared the Liberty champion. John Buchanan (NZL) was awarded the servo prize. Of note in this race, local sailor Takaya Aono, who was competing in his first regatta finished third. An experienced sailor, Takaya has only been sailing the Liberty for 6 months so is looking forward to more time in the boat before next year’s worlds. The 2.3 singles division is very popular in Japan, and a fleet of 20 competitors came together for this regatta. Going into the regatta, Sailability Mie’s Yui Fujimoto was quietly confident, and it turned out that her confidence was well placed. She took out 2 of the 4 races, and finished 2nd in another, to give her a clear victory in the division. Australia’s Allister Peek win in the 3rd race saw him finish the regatta in overall 3rd place. 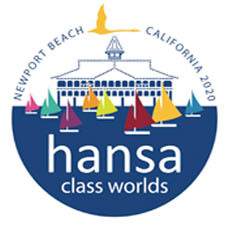 The Hansa 303 singles also saw a strong fleet, with 21 competitors. Takumi Niwa was dominant in this division, winning 3 of the 4 races. Kazumi Iwane was in second place with Puk Chi Yeung from Hong Kong taking out 3rd place. Following the prize giving ceremony, the International competitors and their supporters got together to share a meal and offer feedback and suggestions to the OA prior to next year’s World Championships. We hope many sailors from all over the World will come to Hiroshima next year. As we could see lots of people cultivating international friendships on the scenic Seto Inland Sea during Peace Cup this year, we truly believe that even more will flourish next year. Hiroshima is the city of Peace, which cherishes the importance of life and preciousness of peace. We also have lots of delicious specialty food such as “Okonomiyaki” (Japanese pancake). We all look forward to seeing you next year.